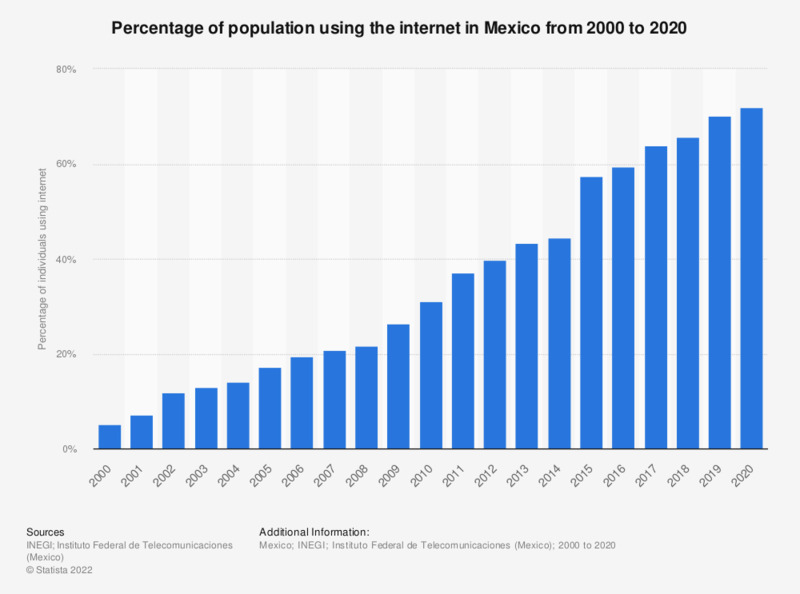 This statistic presents a timeline of the internet penetration in Mexico from 2000 to 2018. In 2018, 65.8 percent of the Mexican population used the internet, up from 7.04 percent in 2001. Figures preceding 2017 come from earlier publications.